Electronic Arts and the Union of European Football Associations announced the eChampions League, a tournament expansion for EA Sports FIFA 19. 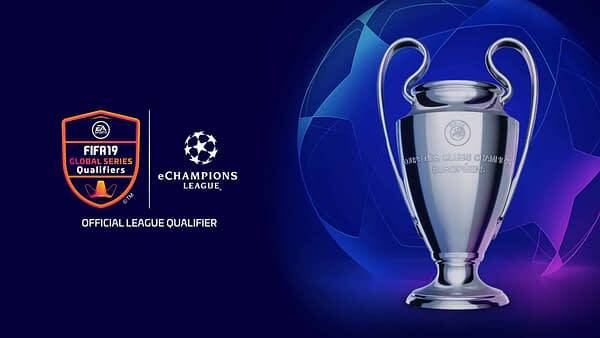 The eChampions League is designed to be a brand new, authentic way for millions of football fans to connect to the UEFA Champions League. The eChampions League adds to the growing list of competitions that make up the Road to the FIFA eWorld Cup next summer. All eligible competitors will compete on PlayStation 4 and participate in the eChampions League Global Online Knockout tournaments on March 2nd and 3rd, with the top 64 players advancing to the live qualifying event on April 26th and 27th. The top eight players from the eChampions League will move on to the eChampions League Final to be hosted in Madrid on May 31st. The Final will be played a day before the real-world UEFA Champions League Final on June 1st, which gives football fans two different ways to enjoy their favorite sport that week. As a way to further connect the two leagues, the eight eChampions finalists will draft and use footballers involved in the UEFA Champions League Group Stage, which will restrict their teams a bit. The eChampions League winner will take home a $100,000 USD majority of the $280,000 USD prize purse. They’ll also recieve 850 FIFA 19 Global Series Points.